THE general elections have come and gone, so has the Constitutional Court (ConCourt) process of dealing with the disputed outcome. What is imperative now is how the nation moves forward. The key players in this unfolding drama need to clearly map a way forward and avoid being stuck in a moment of history or a moment of madness. To this end, a number of challenges await President Emmerson Mnangagwa. The recently held general elections were an important legitimation process for the military establishment which ousted Robert Mugabe in the November 2017 coup. Without winning the support of the people through the most recognisable test of democracy, which is an election, the Mnangagwa regime suffered a critical legitimacy crisis. The election was thus a critical political ritual to baptise the regime into democratic sainthood. The results were contested by the MDC Alliance and its leader Nelson Chamisa, but they failed to win the case in the ConCourt. Even though Mnangagwa ultimately emerged unscathed in the ConCourt and was declared the winner, he mainly attained legal legitimacy, but continues to suffer from a deficit of political and moral legitimacy. The electoral process and the ConCourt case managed to cleanse the regime, but fell short in terms of broader public perception and confidence. The majority of urbanites, for example, who voted for Chamisa, still feel the elections were stolen, thus eroding the moral and political legitimacy of Mnangagwa. The best remedy to deal with this would have been an inclusive government. However, in the face of Zanu-PF with a majority in parliament and the destructive winner-takes-all mentality in the ruling party and the radical stance by Chamisa, this appears unlikely. Mnangagwa, therefore, has the unenviable task of governing a country where the majority of people who contribute to the fiscus through taxes, various levies, rates and economic activities are from urban areas and did not vote for him. 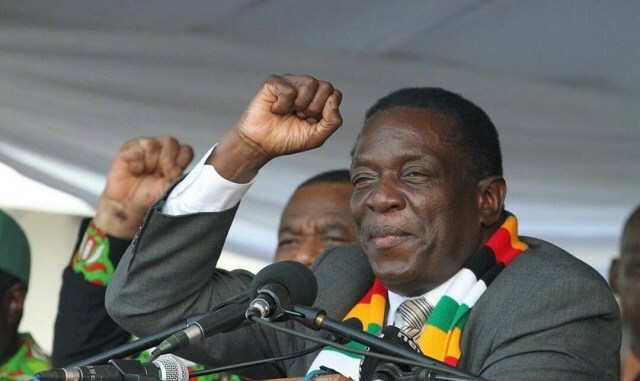 The erosion of Mnangagwa's political and moral legitimacy is not just philosophical, but may translate into a lack of confidence into economic governance processes, further translating into lack of confidence in official processes and institutions. This may result in short-term thinking and short-termism in financial practices that may affect sectors such as banking, which may suffer from depositors' burn out. This can culminate in a decrease in savings, investments and deposits, with the potentially catastrophic impact on the economy. Remittances from the Diaspora may also be eroded by lack of trust in government and its economic processes. Secondly, Mnangagwa has to deal with a public with decreased confidence in independent institutions which undergird or support and entrench democracy. The credibility of the Zimbabwe Electoral Commission (Zec), for example, alongside other independent bodies outlined in Chapter 12 of the Constitution, will be severely affected as a result of the contested election. Whether there was sufficient evidence to prove there was rigging or no rigging, there is prevailing and prevalent public opinion that public institutions such as Zec cannot be trusted. There will also be increasing mistrust in the independence of the judiciary. While the judgement of the ConCourt must be respected and upheld, its ruling will undoubtedly raise questions as to its independence. This erosion of confidence is largely as a result of speculation rather than substantive reality, as people will then perceive the courts as not being independent and credible. Whether this is right or justified is another question altogether. There will be a domino effect on other independent institutions, such as the Zimbabwe Human Rights Commission, the Zimbabwe Media Commission and importantly, the National Peace and Reconciliation Commission. Public confidence in these institutions as instruments of democratisation will be severely tested in the next five to 10 years. The bigger challenge that government faces is that of instilling public confidence in itself and its processes. The fact that Mnangagwa suffered rejection even from his own party, epitomised by ruling party parliamentary candidates scoring higher votes than himself, portrays a deeper crisis of confidence, which may manifest itself in parliament and in the policy-making processes. It is within speculative reality to opine or conclude that there may be a substantial number of Members of Parliament who may either be loyal to Mugabe or other powerful individuals other than Mnangagwa himself. This may lead to multiple centres of power within government, thus affecting policy implementation and, inevitably, service delivery, as well as political and economic stability. This chasm has also been evident in the security forces, where it has become obvious that sectors such as the police and the intelligence are not fully loyal to the incumbent. A cocktail of these issues severely erodes internal and external confidence in Mnangagwa and his team. The composition of his cabinet is the first test of his commitment to change and the economic development agenda. It is game-on for Mnangagwa, but he faces a multiplicity of challenges which will test his resolve. The "Zimbabwe is open for business" thrust of the government faces immense challenges in the wake of a crisis of internal and external confidence. Nkomo writes in his personal capacity.